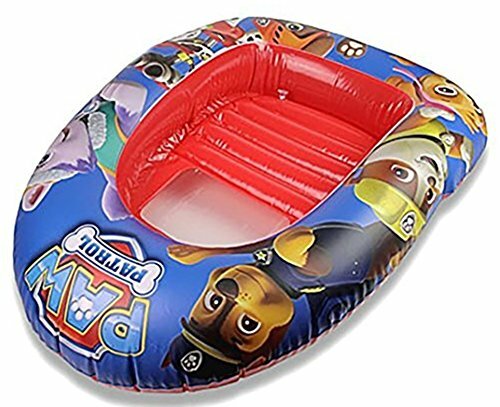 Children's Speedway Inflatable Holiday Boat Dinghy. One Size Inflatable Boat: 102cm x 69cm (40" x 27"). Colourful PAW Patrol Characters Design with Clear Viewing Window and Easy to Inflate Valves. Perfect for Your Summer Holidays!